Mattel Children’s Hospital UCLA Chase Child Life Program is a national model for how to effectively address the social, emotional and developmental needs of each child and their family in a culturally sensitive manner. 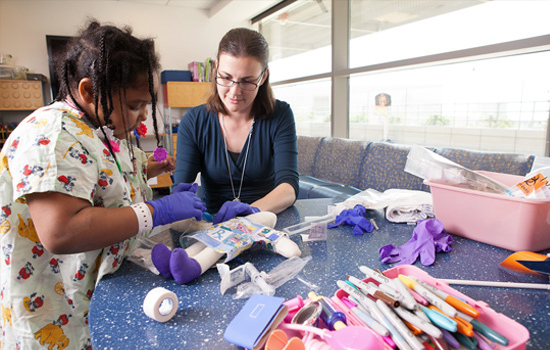 The program is staffed by professional Child Life Specialists who serve as compassionate advocates who seek to find resources that will help kids overcome difficult milestones during the course of hospitalization and treatment. They provide accurate and age-appropriate information to the patient and parents, identify potential sources of stress, and plan and practice coping strategies. 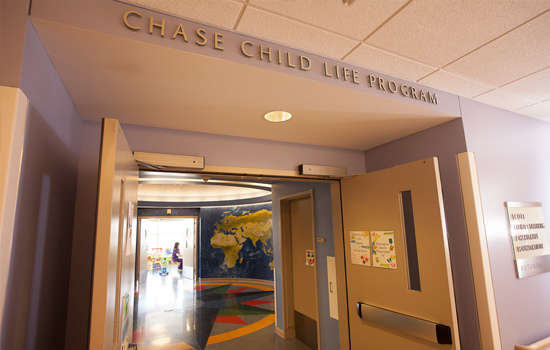 Child Life Therapists work with patients and families in Chase Place playrooms and teen rooms, which serve as safe spaces where kids can play, smile and just be kids. Chase Place playrooms and teen rooms are age-appropriate settings where there are no needles, machines, or medical tests – just time for play, fun, laughter and understanding.